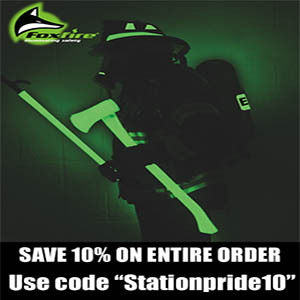 As part of Station Pride’s continuing mission to support Firefighter owned small businesses, I took the opportunity to check out HeroPrep.com. 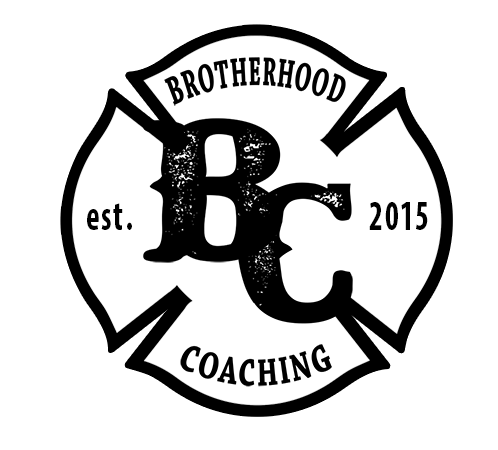 When a company is created and operated solely by firefighters for firefighters it always tends to give me the warm and fuzzies. Without knowing any of them personally I already have an idea of what I’m getting into. HeroPrep is a firefighter and EMT test preparation website where they guarantee a 100% pass rate on your IFSAC or ProBoard Firefighter 1/2 and/or NREMT test OR your money back! That’s a very bold guarantee for a company to make and I was curious to see how it all worked. 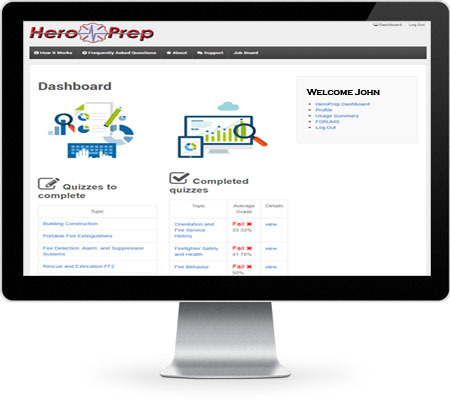 HeroPrep.com has designed custom study-question test banks that provide thousands of questions across relevant topics. One interesting facet of HeroPrep.com is that they also operate a Firefighter and EMT job posting website called Recruit911.com. Not only can you prepare to pass your emergency services exams but you can also FIND A FIRE JOB or EMT JOB, once you pass. Seems like a very convenient arrangement of services. Upon arriving at the homepage, (www.HeroPrep.com), it appeared very clean, formal and professional. It wasn’t flashy or over the top. The style had a very basic feel about it. You immediately knew you weren’t there to be dazzled and you were definitely there to learn something. The graphics are neat, rustic, and professional. The website consists of a “How it Works Section”, About, FAQ’s, Support, Job Board, and a section on learning how to become an EMT. All of the navigation tabs provided thorough insight into the process and answered all the questions I had for their service. In order to utilize the multiple-choice, study-question test banks you must first create an account and purchase the desired service. After creating a log-in and password with a confirmation email you were ready to start. This process was easy and a standard across the internet with regards to purchases. Depending on the service you purchased you will be given access to your desired study test bank. For example, if you are taking the Firefighter 1 Test Bank; the bank is divided into function categories such as Fire Service History and Orientation, Fire Behavior, Ropes & Knots, Water Supply, Fire Streams and so on. If you are taking the NREMT Test Bank the areas are segmented into Airway, Trauma, Medical, Obi & Peds, Cardiology, and a specially designed NREMT Test Simulator that mimics the NREMT exam. I kept looking for an immediate response to my answered questions and then realized I was literally taking a practice test. All of my correct and incorrect answers were displayed upopn completion of each quiz. Each functio nal area of the test appears to be thoroughly covered. After completing each quiz you can see a breakdown of the areas you need to focus on. You will see your grade, an explanation of the answer as well as graphs to show your progress. Every quiz tracks associated data such as how long it took you to complete, how many attempts to pass each topics and so on. There is valuable, usable data that is displayed to help you hone your studying. As I made my attempts I did not readily notice any repeating questions. As with any discussion with an individual who owns a company I don’t like hearing their “pitch” I don’t like listening to what’s so great about their product compared to others. I like to form an unbiased opinion based on my actual experience with the service. With that said, I had a conversation with the creator of HeroPrep. Currently they provide Firefighter 1, 2 and NREMT test preparation service. In the near future they plan to expand that service into Instructor, the driver operator series, inspector and officer test preparation. He also explained changes being made with Recruit911.com and a possible package deal. With the purchase of a HeroPrep service you will be given access to Recruit911. I’ve invested in several similar services throughout my career. Taking practice tests or answering practice questions is one of the best ways to prepare for an exam, hands-down. While taking practice tests you become comfortable with physically taking the test while you are learning and studying. Flash cards are great but they don’t give you that test-taking feeling. The student dashboard was very basic and simple to navigate. There was nothing flashy it was pure Quiz City. The questions in the test bank were nearly identical to questions I’ve experienced in actual tests. To be entirely truthful…I actually learned a few things I didn’t know, which made me a little excited. I thought I was going to smoke through the quizzes with no issue but I was stumped a few times. Which, by all rights, is exactly what you want to have happen. We learn from our mistakes. The test banks were exactly what you would expect from a test preparation website. I attempted to access my account from my iPhone as well as my iPad and the website IS mobile-device-enabled which made taking quizzes even easier. I was completing topics while I was out and about in my Ladder Truck.